At J’s Auto Electrical, we are proud to offer an extensive range of professional auto electrical services including the diagnosis of engine management faults in Bristol and the surrounding southwest area. Our prompt and reliable service extends to homes and workplaces throughout Bristol at a time convenient to you. Please note that appointment times can vary slightly based on local traffic and weather conditions. By adapting our expertise to the latest trade and industry innovation, we are able to diagnose the engine management fault light in Bristol on a full complement of makes and models including French vehicles. The result is a main dealer equivalent experience delivered independently by fully trained technicians at affordable prices with no VAT applied. 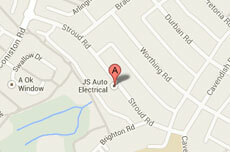 J’s Auto Electrical is your number one choice for professional ABS diagnostics in Bristol. We are diagnostic specialists with the operational capacity to rectify all warning light and sub-system faults on your behalf. We also provide software updates, reprogramming and remapping services for your convenience. Our talents also extend to airbag diagnostics in Bristol and we are your leading independent specialists for satellite navigation systems, audiovisual entertainment and vehicle security. We now source and supply transponder keys and immobilisers as part of our dedicated service range. Call today for your written quote. If we can’t take your call, leave a message and we promise to be with you promptly.